‌A remarkable piece of belly jewellery. These belly button piercings with elephants head are lovely. The details are great, and yet this piercing is still affordable. You can choose from three different colours / materials. The silver elephant belly piecing is made of surgical steel. Next up you can also choose for the gold or rose gold versions. 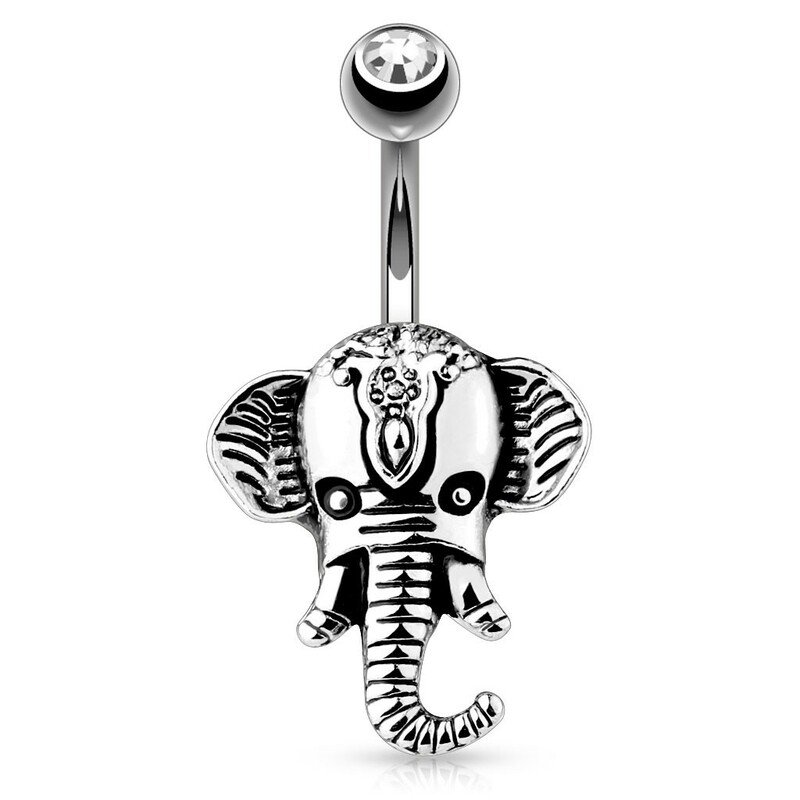 We also have a similar elephants belly ring with a dangle instead of simple belly bar. Check this one out at the related products section.